What is a Fire Talk? The Essential Guide to Following Your Heart. Within a week of self-publishing A Modern Shaman's Field Manual, Jeff found the book had jumped to Amazon's "#1 Hot New Release" position. He was soon offered a traditional publishing contract from Bear & Co. and the second edition of the book (with a new cover and title) and was released as, The Lost Art of Heart Navigation: A Modern Shaman's Field Manual in 2017. Look Inside and order the book here. 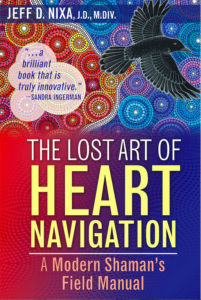 The Lost Art of Heart Navigation gathers all the core information and practices that Jeff uses in his shamanic counseling work and teaching programs. He wrote it as a self-help resource for his clients, general audiences, colleagues in shamanic practice, and anyone interested in shamanic healing, spirituality and indigenous healing traditions. "This is the book I needed when I struggled to decide on a major in college, felt misplaced in graduate school, lost a job, and chose a life partner. It's the book I needed when I was feeling stuck, puzzled by a big fork in the road, forced to make a difficult choice, or finding myself depressed and lost, far away from home." (From the Introduction). This new edition includes four downloadable audio tracks in which Jeff teaches basic shamanic journeying skills with background drumming and narrated journeys. "Jeff Nixa has written a brilliant book that is truly innovative... a road map for finding our way back into balance with nature, soul, and Spirit. I really love this book. Jeff's style of writing and story telling, his wealth of knowledge, and the exercises he shares... I highly recommend it for people who are trying to find their way." -Sandra Ingerman, MA, author of Soul Retrieval, and Walking in Light: The Everyday Empowerment of Shamanic Life. “The real creative genius of this book is the way it weaves so many useful sources and resources into a practical manual that is highly accessible and user-friendly for the beginner and useful for the professional practitioner as well. I wish I’d had such a manual for my own clients and apprentices.” -C. Michael Smith, Ph.D., author of Jung and Shamanism. "Veteran spiritual guide Jeff Nixa teaches you the Path of the Heart, a step-by-step approach to personal growth, healing and transformation rooted in the earth-honoring spiritual practices of world shamanism. “Laid out before me was the way home,” Nixa writes of the approach he learned, “a luminous path of self-discovery, healing and power.” He left a successful career, dove headfirst into a seven-year shamanic apprenticeship, traveled to the Amazon, volunteered with Lakota Indians, and trained with world-renowned shamanic teacher Sandra Ingerman. As he slowly mastered the wisdom of his elders he began to teach these skills to others. Unable to find a good book for his students that collected the most helpful information and practices he had learned in one place, he wrote his own. Create a more joyful life in balance with nature and the living earth. "Nixa anticipates the mental self-sabotage that can derail your forward progress, and teaches a three-pronged strategy for conquering your greatest fears around change. 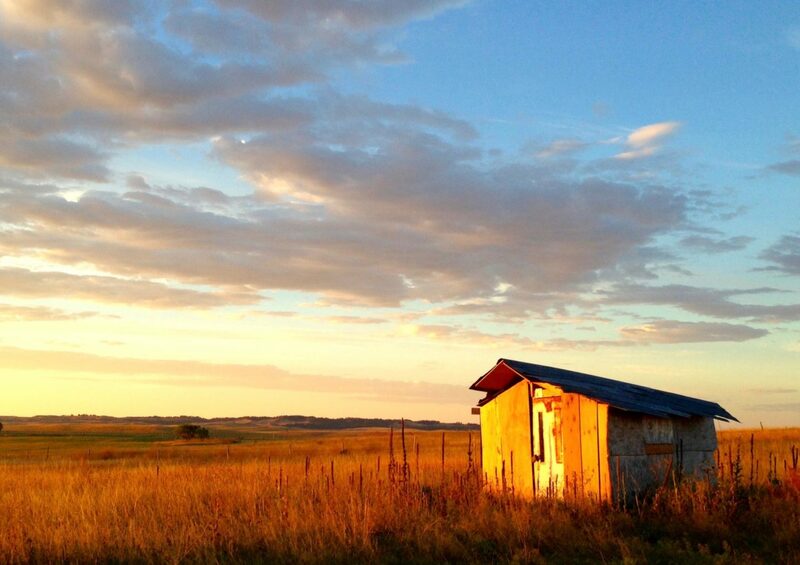 You then discover how your newly acquired medicine can also benefit the world around you: our children, our elders, health care, faith communities, Native people, and the wounded Earth itself. The Appendix contains bonus resources to help you explore your heart of aliveness, clear out old emotional patterns, and quest for a vision. "If you are at a crossroads on your journey, A Modern Shaman’s Field Manual is your map, compass and traveling companion for navigating the adventure of your life." Order a gift copy for a friend or family member struggling to find their way in life. The book provides any reader a skilled and capable traveling companion, "For the adventure of your life".